This post was written by Lilia Villa, a former FFTF campaigner who is currently at Standing Rock. Photos by Lilia Villa as well. We call on all Internet users to educate themselves, get involved, and help spread the word about what is happening in North Dakota at the Standing Rock Indian Reservation. Native Americans who are speaking out have been brutally attacked and placed under extreme surveillance by the U.S. government. Most recently a young woman was severely injured and may lose her arm after police fired concussion grenades into a crowd. We fight to defend the Internet for exactly these moments–when human rights are being trampled and the world needs to pay attention. The Army Corps of Engineers has issued an eviction notice to the Standing Rock water protectors, claiming they will not have permission to camp there after December 5th. A spokesperson for the Morton County Sheriff’s department has said that if they stay, “they have to live with the consequences of potentially freezing to death.” They have also warned that those delivering supplies could face up to a $1k fine. We can only assume the human rights situation will worsen if the government moves ahead with this plan. 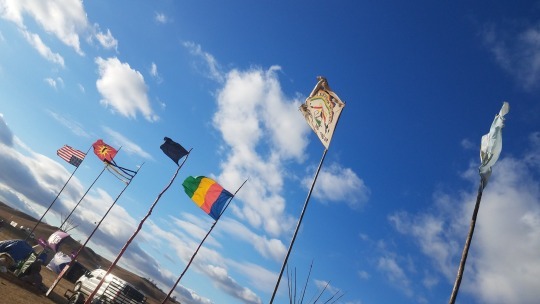 As you read this, Dakota Access Pipeline, LLC, is knowingly plowing through sacred sites, burial grounds, and preparing to drill under the river without a permit – threatening the water supply of nearly 18 million Americans and the nation’s largest aquifer  – all with what appears to be full support from both state and federal authorities. Water Protectors, as the #NoDAPL movement has asked to be called, continue to be brutalized with excessive militarized force while praying peacefully in opposition. Major news networks have failed to cover the story on television, making social media instrumental in helping indigenous people share the continued oppression and human rights violations as they play out in real time on Facebook Live - feeding the growing resistance in solidarity that’s now become an international movement. While technology has helped them tell their story and find support, even more powerful people and institutions are using technology to conduct indiscriminate surveillance and suppression of free speech. 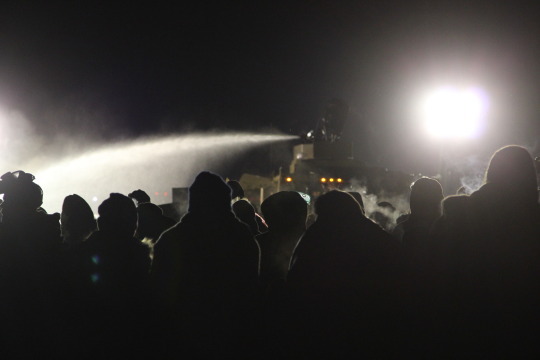 Law enforcement and private DAPL security have maced, tear gassed, shot rubber bullets, exploded CS (tear gas) grenades, sprayed water cannons in sub-zero temperatures, and released attack dogs on water protectors. They have arrested hundreds so far, targeting indigenous people and leaders, and even caged some in dog kennels – all for praying to defend their land and their drinking water. Both the UN and Amnesty International are now monitoring the human rights abuses happening at Standing Rock as public outrage keeps growing. With more than 1.5 million check-ins, it was probably the largest counter-surveillance action ever taken. 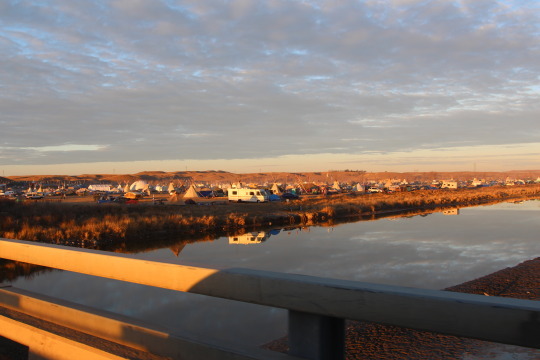 Putting aside the effectiveness of it, the Facebook users that checked in at Standing Rock water protector camps believed they were creating cover for activists who were actually there, and whose social media presence was being monitored by law enforcement. That means over 1.5 million people worked together to protect indigenous people, and to evade the ubiquitous surveillance of our social networks by law enforcement. That is huge. But law enforcement has been doing more than just following social media posts. Signs of illegal IMSI catcher intrusion, or “stingrays,” and other surveillance tactics have been reported on the ground. 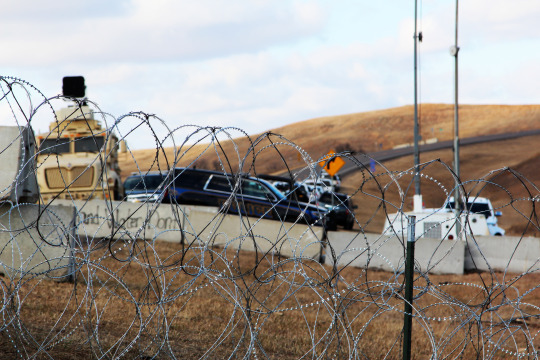 Cell phone communications and video live feeds have been disrupted, often at critical times when law enforcement attacks on the water protectors are most intense. What is happening at Standing Rock is an unprecedented crisis, and we are all witness to it. It is inexcusable to have, on American soil, a racist policy being enforced with police brutality, censorship, human rights abuses, and to have silence from our elected officials in response. Also, climate change is real, it threatens all of us, and actions to slow and stop fossil fuel infrastructure—while the world transitions to solar energy—are the front lines of the fight. 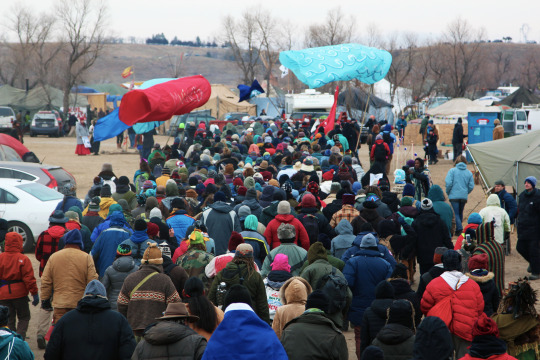 We stand in solidarity with the water protectors at Standing Rock and ask anyone who wants to support their efforts to visit the websites for Oceti Sakowin Camp, Sacred Stone Camp, and the Standing Rock Medic + Healer Council to get involved in their efforts. You can help by going there to join them – and if you can’t – by getting loud in your communities and donating.